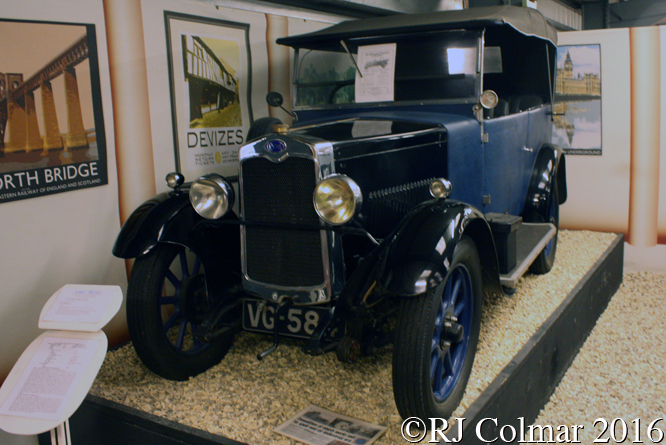 In 2011 I visited the Atwell Wilson Museum in Calne and found it to be friendly and great value a couple of weeks ago I took the opportunity to visit again and unsurprisingly found Wiltshire’s only Motor Museum to be just as friendly and still great value. 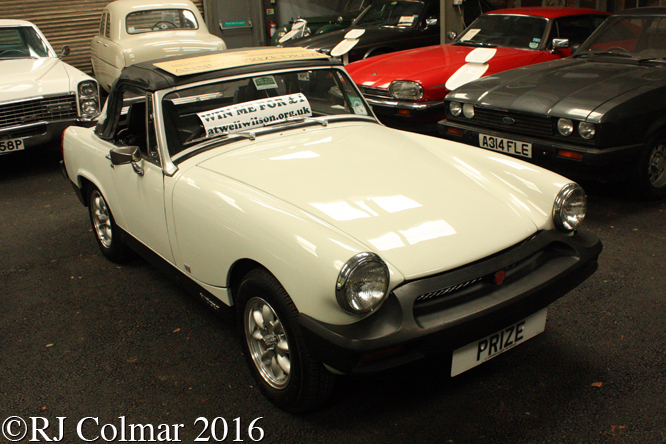 Every year the friends of the Museum raffle a classic car, this year your one pound ticket could win you the immaculate 1976 MG Midget 1500 with federal spec bumpers above. In the days before photocopying and scanning an army of tracers was employed by engineering firms to trace the technical drawings required for just about anything that was made to pattern, Trevlynn “Trev” Hildred joined her father at the Armstrong Whitworth Aircraft works in Coventry at 16 and rose to become Head Tracer at the company in 1960 and remained in the post until technology made here redundant in 1969, above is her 1954 Ford Consul “Connie”. 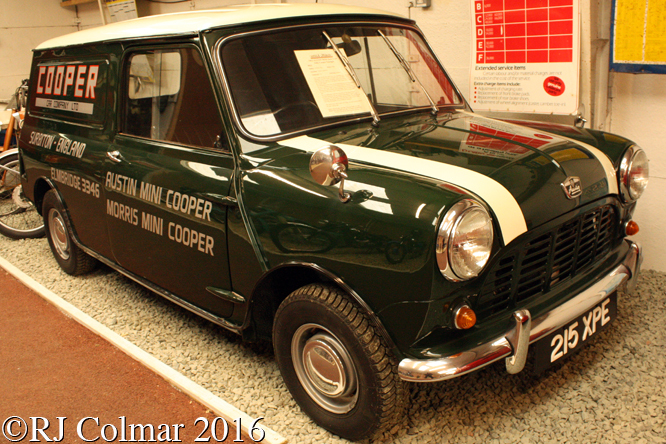 In 1997 the Gaydon Motor Museum built this replica of of one of John Coopers Austin Mini 5 cwt Vans for the Frankfurt Motor Show restoring a 1962 van for the purpose with John Coopers full approval and cooperation, the 70th anniversary of Cooper Cars this year will be celebrated at Prescott on July 30th. Ford introduced the Mercury Monarch in 1975 as an upmarket version of it’s (US) Granda both models being aimed at the downsizing US market in the wake of the early ’70’s oil crises which pushed the price of oil to new high’s, this Ghia version was the top of the range 1978 Monarch though only powered by a mid sized 250 cui 4.1 litre straight six. 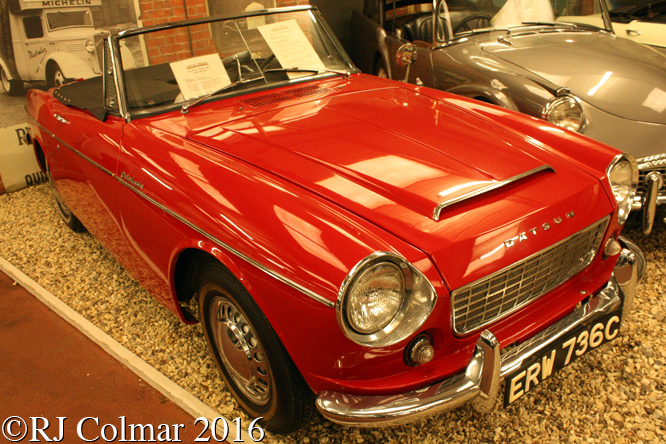 The roadster above is believed to be the first Datsun to have ever been imported into the UK, this 1964 85 hp twin carburettor Fairlady 1500 was purchased by Standard Triumph for evaluation purposes and registered by them on the 2nd of April 1965. Finally in the space of 9 years Clyno became the third biggest manufacturer of motor cars between 1920 and 1929 when creditors called time on the company, the 1928 Clyno Royale above is powered by a 20hp Coventry Climax engine which powered the ash and fabric body up to speeds of 55 mph. Further details about the Atwell Wilson Museum can be found on this link. Thanks for joining me on this “Still Friendly Still Great Value” edition of “Gettin’ a li’l psycho on tyres” I hope you will join me again tomorrow when I’ll be looking at a Targa top Camaro. Don’t forget to come back now ! 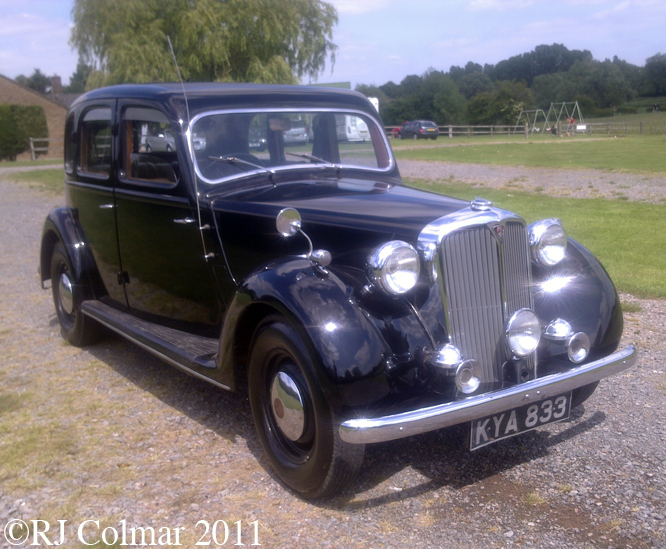 This entry was posted in Uncategorized and tagged Atwell, Austin, Calne, Clyno, Colmar, Cooper, Datsun, Ford, Hildred, Mercury, MG, Motor, Museum, Psychoontyres, Ralph, Standard, Triumph, Wilson, Wiltshire on March 23, 2016 by Ralph. 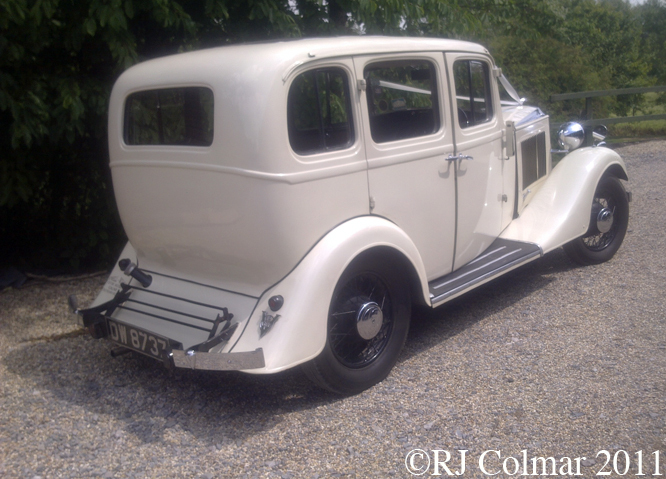 In 1935 Morris was keen to regain it’s position as Britains largest motor manufacturer when it launched the Morris 8 in response to the successful Ford Model Y which was first seen in 1932. 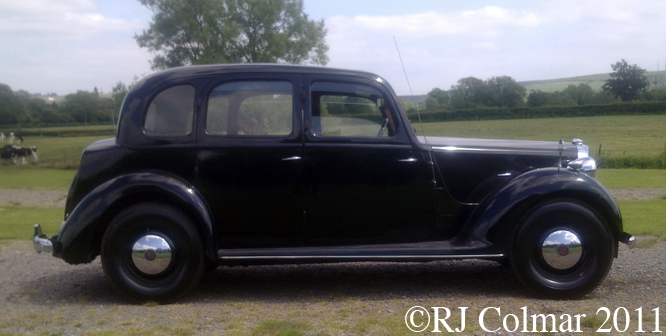 Four series of Morris 8’s were manufactured Series I from 1935 to ’37, Series II in 1938 and Series E from 1938 to 1948. 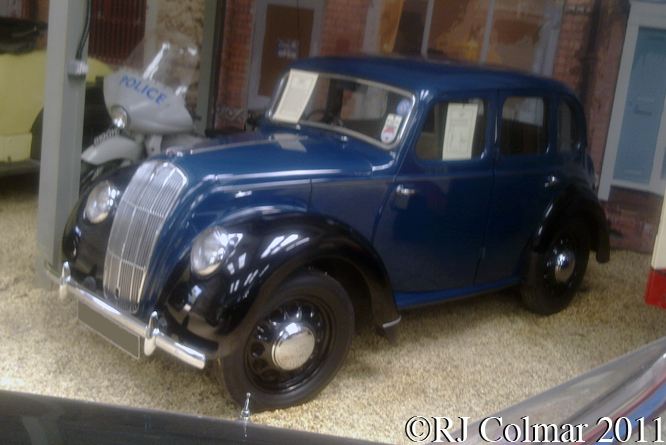 Unusually the Morris 8 Series E remained in production for military and essential civilian use through out the war with civilian consumer production resumed in 1945. 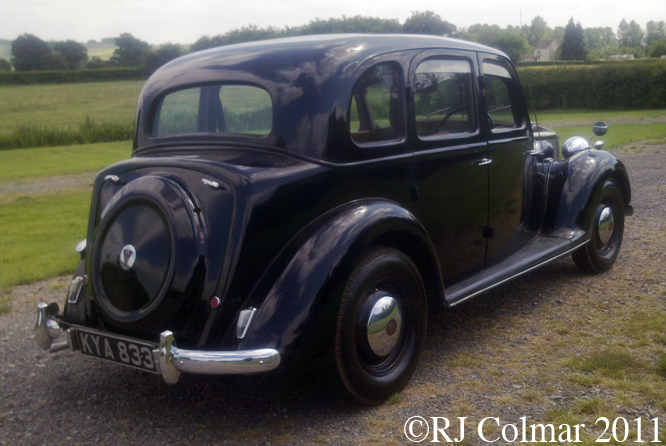 The Series E Morris 8 is easily distinguished from it’s forbears by the semi integrated head lights and it’s absence of running boards. 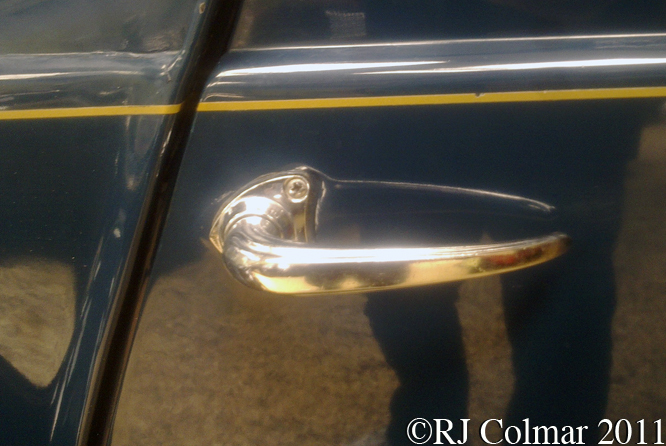 The waterfall styled grill was much in vogue at the time with Hudson in the US and Triumph in the UK being among the more fanciful users of the waterfall styled grills. 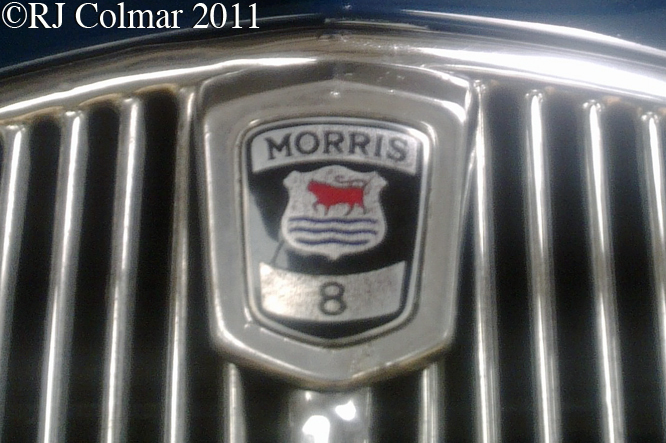 The 29 horse power 6 volt 4 cylinder motor could propel the Morris 8 Series E to a top speed of 58 mph. 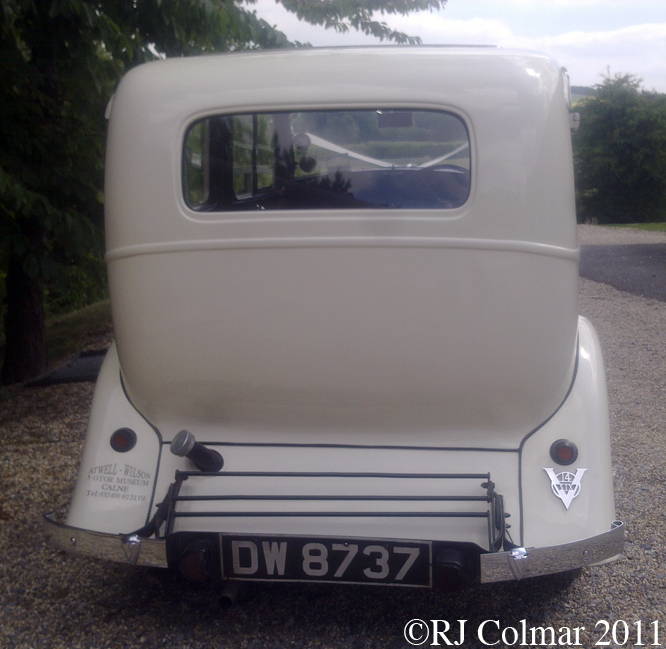 The motor would remain in use in Morris Minor cars from 1948 to 1953 and would also find itself being installed in Centurion, Conqueror and Chieftain main battle tanks as an auxiliary motor. Katie as the Morris 8 Series E,seen here at the Atwell Wilson Museum in Calne, is known was purchased new for £120 pounds by Mr And Mrs EA & WG Harris of Laurel Farm Chadstoke Somerset from Stringers Garage in Chard Somerset on the 1st of November 1948 having been built a week earlier on the 25th of October. The car covered 10,500 miles when it was returned to Strigers in 1952. 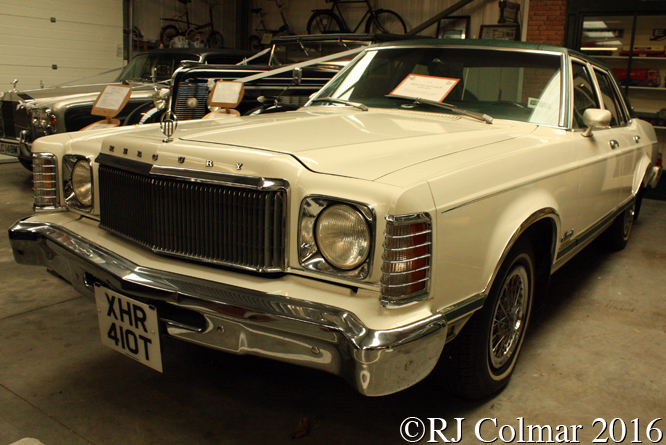 The car remained in the Stringers show room and was used to train apprentices until 1979 when a Stringers employee purchased the car and put it back on the road. 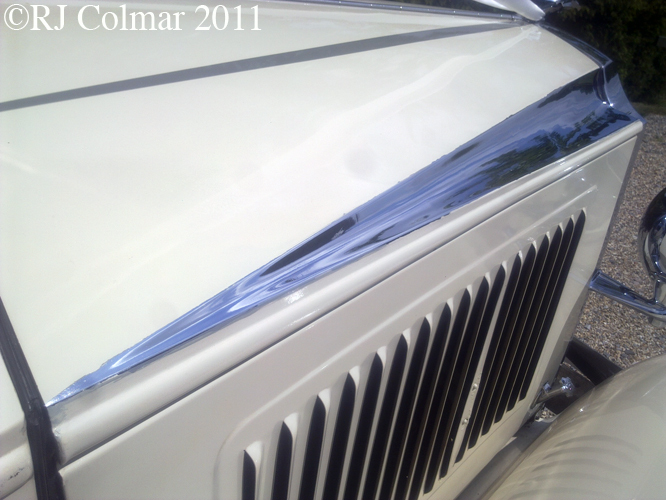 Since then it was repainted from its original black to its present two tone scheme. 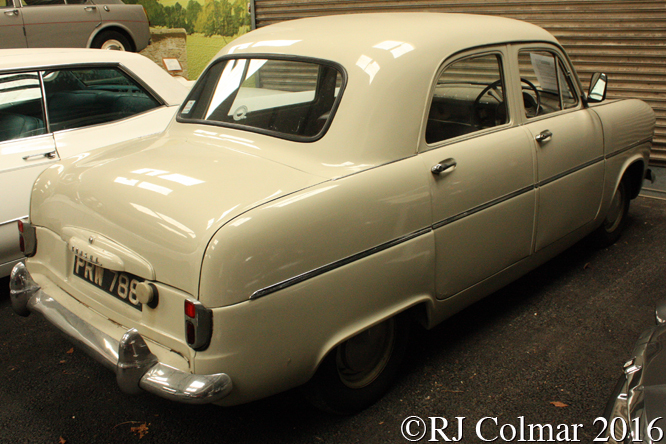 The car now has over 30,000 miles on the clock and has been on show at the Atwell Wilson Museum since 2000. Thanks for joining me on this “Katie” edition of “Gettin’ a li’l psycho on tyres” I hope you will join me again tomorrow. Don’t forget to come back now ! 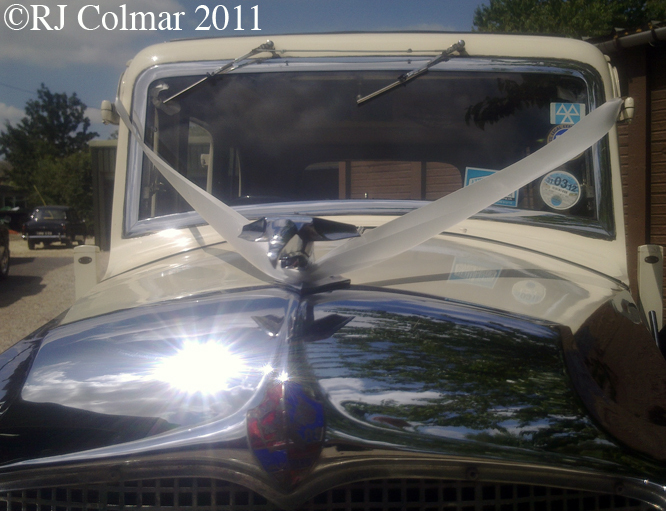 This entry was posted in Uncategorized and tagged Atwell Wilson Museum, Calne, Centurion, Chadstoke, Chard, Cheiftain, Colmar, Conqueror, Family Car, Ford Y, GALPOT, Harris, Katie, Laurel Farm, Minor, Morris 8, Ralph, Series E, Somerset, Stringers Garage, Wiltshire on April 9, 2013 by Ralph. In 1878 the Rover Company was founded as Starley & Sutton Co. of Coventry which by 1885 had developed the template for the modern bicycle in the form of the Rover Safety Bicycle. From 1904 still using the Rover Marque brand the company started building motor cars and motorcycles. After World War 2 Rover moved to it’s Solihull factory where it had engaged in building aircraft for the war effort, since it’s car plant in Coventry had been wiped out by bombing during the hostilities. The interim P3, launched in 1948, was Rovers first post war model. 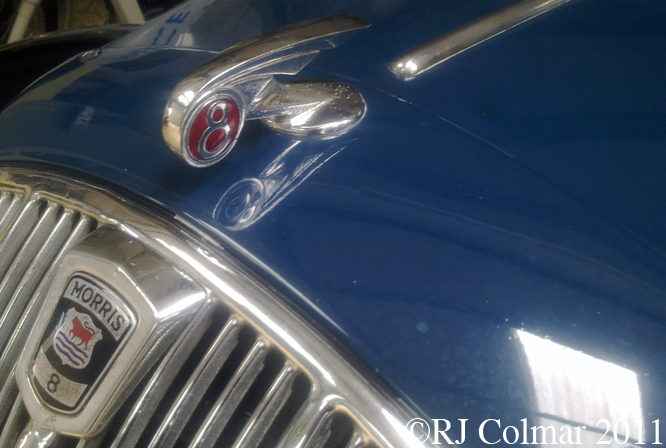 The Rover 75 version of the P3 was powered by a novel new six cylinder motor that featured overhead inlet valves and side exhaust valves that had been developed prior to the commencement of hostilities in 1939. 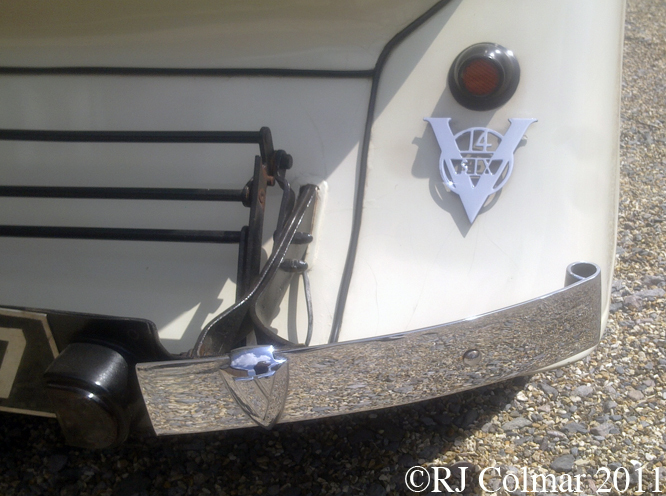 The styling combined elements of the pre war Rover 12 and 16 but only the Rover 12 wings and bonnet were carried over from the narrower earlier designs. The unitary monocoque design, requiring no independent chassis, featured independent front suspension and hybrid hydraulic / mechanical brakes. This the 75 body style seen here was known as a light six saloon and cost a relatively expensive £1106, £ 26 more than the similar 4 cylinder ‘Sports Saloon’ known as the Rover 60. 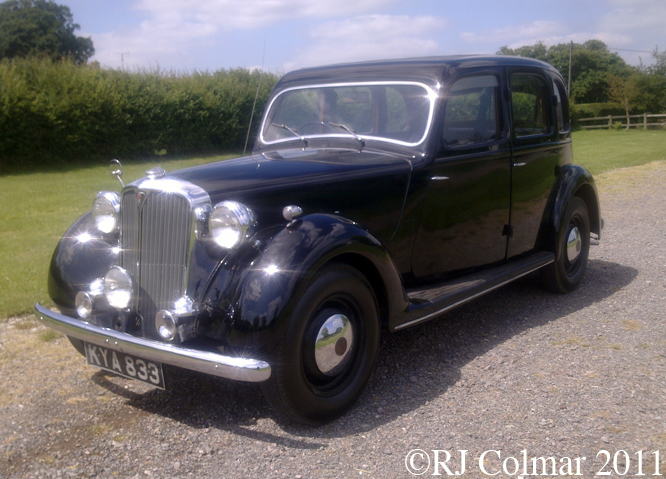 From 1948 – 1949 7,837 Rover 75’s were produced before the all new P4 vehicle was introduced. The engine and gearbox of the P3 formed the basis of the very first agricultural all terrain ‘Land Rover’ conceived in 1947. 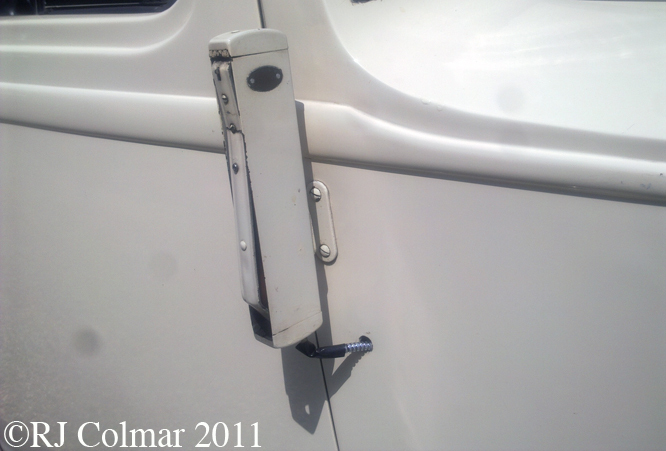 Note the vehicle above built in times of material austerity features a cyclops third head light but only one wing mirror. 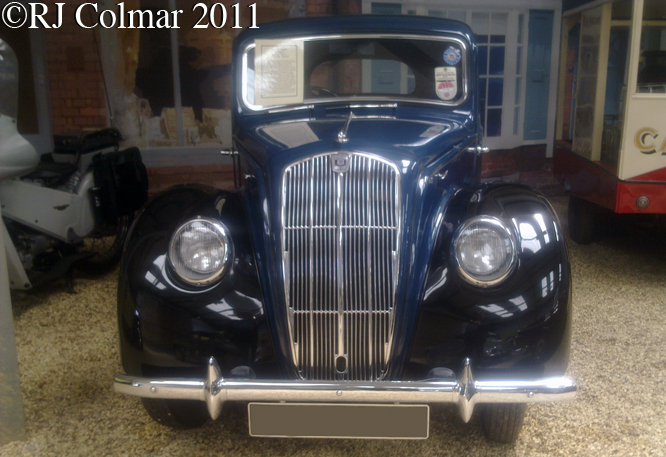 This particular P3 can be seen at the Atwell Wilson Motor Museum in Calne. Thanks for joining me on this ‘overhead and side valve’ edition of ‘Gettin’ a lil psycho on tyres’, I hope you’ll join me again tomorrow. Don’t forget to come back now ! 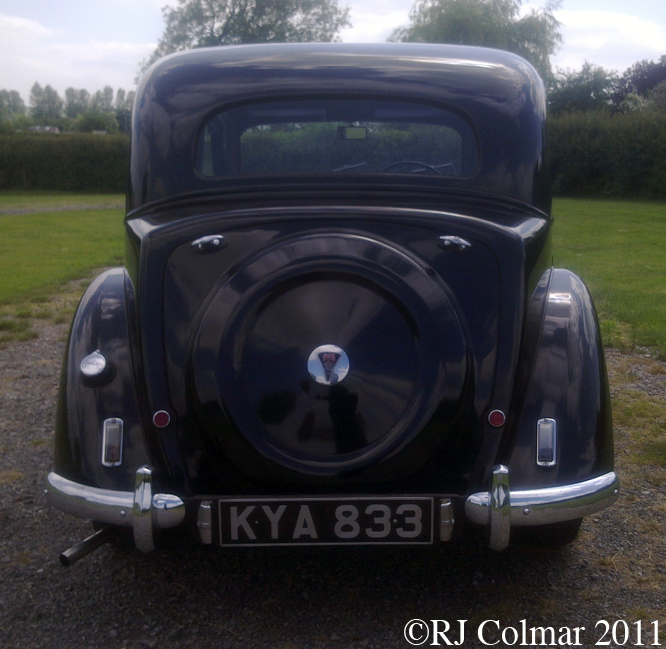 This entry was posted in Uncategorized and tagged 12, 16, 75, Art, Atwell, Calne, GALPOT, Land, Light, Motor, Museum, P3, Rover, Saloon, Six, Solihull, Starley, Sutton, Tidesco, Wilson on July 27, 2011 by psychoontyres. 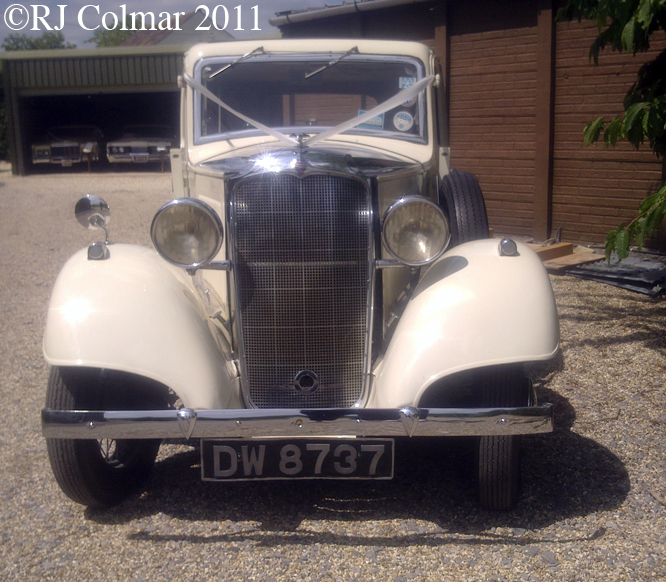 Todays perfect car for a wedding is a 1934 Vauxhall 14/6 seen here at the Atwell Willson Motor Museum in Calne. Vauxhall Motors Ltd was founded in 1857 to manufacture pump and marine engines, in 1903 Vauxhall also began manufacturing motor cars. In 1925 the brand was taken over by General Motors who still own it today. 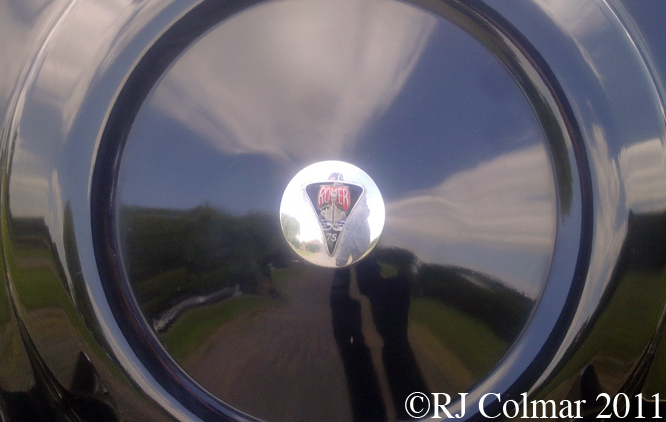 Since the late 1970’s all new Vauxhalls have in essence been badge engineered Opel’s designed in Germany. The name of the 14/6 derives from the Royal Automobile Club (RAC) taxable horsepower rating which gave HMRC (Her Majesties Revenue and Customs) in the UK a method of collecting road taxes. RAC h.p. = D²*n/2.5 where D is the diameter of the cylinder bore in inches and n is the number of cylinders. Like all tax laws this one ended up distorting the market place, in this instance by halting the development of efficient over spare cylinders because the tax laws favoured inefficient narrow bore cylinders with long strokes until the UK taxation structure was rethought in the 1940’s. Up until WW2 most signals from one driver to another were given by hand, trafficators to indicate when a turning maneuver was about to commence, such as these were optional extra’s and were found on new cars until the early 1960’s. 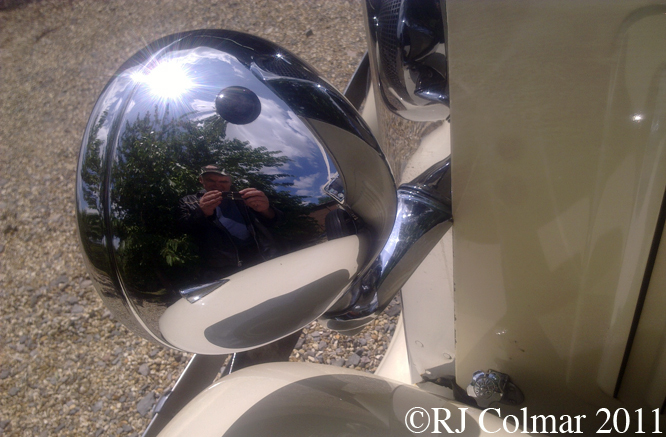 Distinctive sculpted chrome bonnet details like these were in evidence on some Vauxhall models like the Velox until 1957. 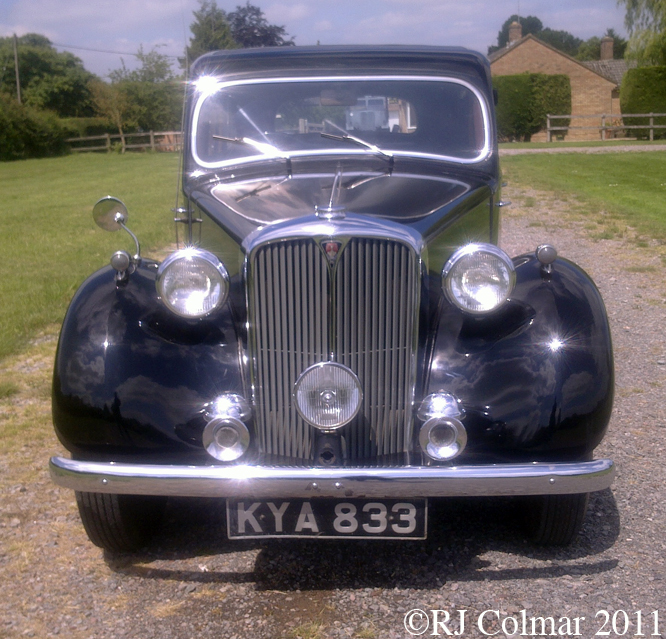 This particular car is available for hire from the Atwell Wilson Motor Museum Trust. The museum is holding a classic festival this weekend, I hope to pop by on Sunday. Wishing all those tying the knot today best wishes. Thanks for joining me on the RAC taxable horsepower edition of ‘Gettin’ a lil’ psycho on tyres’ I hope you will join me again tomorrow. Don’t forget to come back now ! 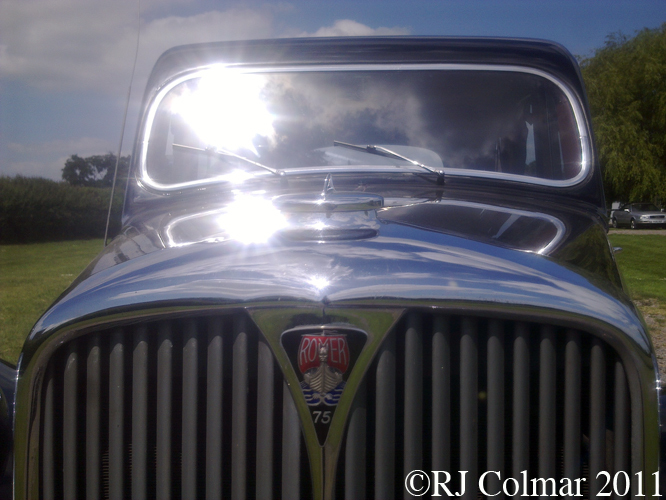 This entry was posted in Uncategorized and tagged 14/6, Art, Atwell, Calne, GALPOT, General, Motors, Museum, RAC, Tidesco, Trafficators, Trust, Vauxhall, Wilson on July 9, 2011 by psychoontyres.